On Scene: Free Ground Shipping with all Streamlight! Free Ground Shipping with all Streamlight! 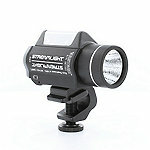 Right now when you purchase any great Streamlight product, shipping is totally free. While shipping is necessary, it's often an extra annoyance for one to pay when you don't have the luxury of just going and picking up the product yourself. But with the FREE SHIPPING on Streamlight promo going now, you get to experience that luxury! Just pick out your Streamlight product and we handle the rest, on us. There's no better time to get your favorite Streamlight than now. 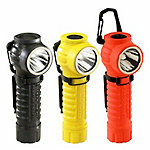 So get your shop on with some of your favorite, well-made flashlights. -Available in orange, yellow and black, and in alkaline battery or rechargeble model. Get yours, today! 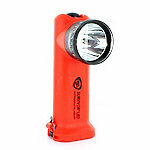 -Available in orange, yellow and black--barely 5" tall and weighing only 4oz this light is packed full of power. -A super small, super bright, and virtually indestructible helmet-mounted light. Available in black or the TFS Exclusive Firefighter Red. We make it a point to get out in the field and talk to our customers. We hold focus groups to hear what they like about our products; but we're more interested in what they don't like, what needs to be improved, and what lighting problems have yet to be solved. Customer feedback helps us continually improve existing products and create new and better ones. Since the most extreme hazardous conditions are often in dark places, Streamlight created a complete line of safety-rated lights. For the industrial market, we've developed lighting tools that are safe to use even around explosive gases and in other potentially explosive atmospheres. Check out our many more Streamlight options here! Shop Streamlight with FREE shipping, today.